Suggested by Sonic Bowser Jr is a pretty tough kid who also has some nice abilities at his disposal thanks to the paint brush. That being said, he’s still not one of the stronger characters out there. He would be almost completely helpless against Ness’ various PK abilities like fire and flash. I don’t think this Koopaling would be able to dodge and his attacks will have a hard time landing since Ness is quite fast as well. A quick Final Smash will blast Bowser Jr over the horizon with ease. You just can’t counter that kind of energy. Ness wins. 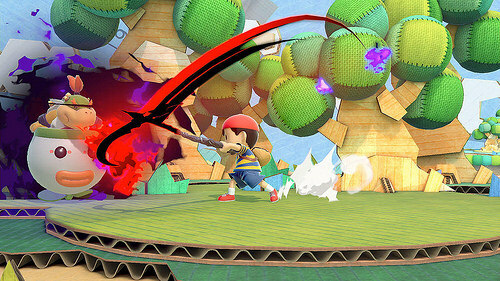 This entry was posted in Battles, Bowser Jr Battles, Ness Battles and tagged Bowser Jr, Ness by dreager1. Bookmark the permalink.